How to activate your sim for FREE? Yes! you read it right! It’s FREE! you do not have to buy or pay for anything. No registration fee. No processing fee. No set-up fee. Also, NO QUOTA for LoadCentral retailer accounts. What we only ask in return is for you to like the Facebook pages, read, understand and follow the steps that’s written on this site. If you prefer tagalog version, please visit this page. Step-by-step instructions are already stated on this website starting from how to register up to how to verify your deposit for your LoadCentral wallet. Please take time to read and follow the steps. Fill up our LoadCentral Retailer Registration Form. Please check your keyboard and make sure that the CAPS LOCK button is OFF. After you submit your LoadCentral Retailer Application for Registration, you will receive an email confirming that we’ve received your details. Kindly please take time to read the email properly including the links that you will follow. We will not entertain any questions for answers that is readily available on our website. As soon as you have received an SMS confirmation saying that you are already registered with epins.biz you need to change your mobile password (FL) using your registered mobile number. 123456 is the default password and the 654321 is an example of a new password. Please Nominate your own 6 digit numeric (FL) password. Please visit this PAGE for the LoadCentral Retailer SMS Guide. Change your webtool password (SL) by logging in at loadcentral webtool. The default (SL) password is 123456. Please visit this LoadCentral Webtool Manual for instructions with screenshots on how to change your loadcentral webtool password. What will happen if you do not change your passwords? As a security measure of the LoadCentral system, your account access will be automatically locked if you fail to change your password within 3 hours of registration. Please visit our Knowledge Base for solutions to LoadCentral login related issues. Visit this PAGE for the Uniwiz Trade Sales Inc. list of bank accounts for your LoadCentral wallet replenishment. The amount you deposited will be transferred to your LoadCentral wallet in FULL. We do not and will not deduct any kind of fees. For deposit verification and wallet replenishment cut off times and provincial deposit fees information please visit the ePins.biz LoadCentral Knowledge Base. Want to load your wallet using BPI, PayMaya or GCash? 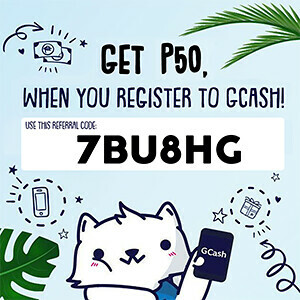 ePins.biz LoadCentral Accepts PayMaya & GCash for wallet replenishment. Visit this PAGE to know how. Please make sure to attach CLEAR photo or scanned copy of the transaction details. Verify your deposit to Unwiz Trade Sales Inc. using the LoadCentral Deposit Verification SMS Syntax. Please ensure that you are sending the correct sms syntax or your deposit details wont be received and will not be verified. Having issues verifying your deposit? If you are having issues verifying your deposit, you may use our Uniwiz Deposit Verification Form Assistance. This form is password protected and EXCLUSIVE to LoadCentral retailers and subdealers registered under ePins.biz. How to get the password? Just send us a message via Facebook messenger – http://m.me/epinsbiz. Provide your ePins.biz registered mobile number and your ePins.biz Passkey. NO PASSKEY = SEEN ZONE. Apologies, we cannot afford to waste any of our time. Please cooperate and follow this simple instruction. Thank you. Please visit the ePins.biz LoadCentral Knowledge Base for the deposit verification and wallet replenishment cut off times. Visit this PAGE for guidelines on how to sell or dispense pre-paid loads using SMS Syntax. Visit this PAGE for guidelines on how to sell or dispense pre-paid loads using the LoadCentral Webtool. 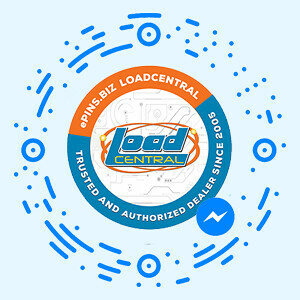 Visit this PAGE for guidelines on how to sell or dispense pre-paid loads using the OFFICIAL LoadCentral Retailer App for Android Devices. Please visit our Downloads Page for the latest LoadCentral Discount Structure, Printer Friendly Brochures, LoadCentral Guides & Manuals. Subscribe to our RSS FEEDS to receive LoadCentral updates and advisories straight to your inbox. Like our official Facebook page for LoadCentral updates & advisories. Like the ePins.biz facebook page for ePins.biz updates and advisories such as : deposit verification schedule, if theres no DSL, power interruption and etc. Follow us on Twitter for updates in 140 characters : https://twitter.com/ePinsbiz. Before submitting a support ticket, please make a reasonable effort to search our website for the information you are looking for. Our Knowledge Base Section may give you the answers you seek before you take our time time by opening a support ticket for information that is readily available on our website. We understand that you might require support at some point and we are here to help. If you cant find answers and solutions to more complicated technical LoadCentral account issues, please open a support ticket online at http://support.epins.biz. Getting Started with LoadCentral was posted on Wednesday, 23rd March 2016 by eLoad.biz. Last Modified : July 5, 2017 7:07pm.